Brown Bear Garden Statue Outdoor Sculpture. 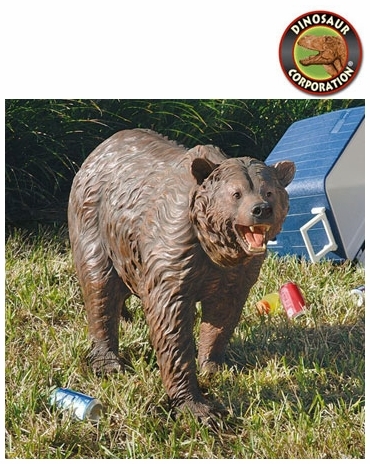 Our realistically sculpted, 3�-foot-long mischievous Brown Bear is sculpted 360 degrees to be admired from all sides while lumbering through your garden. * Size: 42" W x 12" D x 25" H.
* Customers are encouraged to bring in items during severe weather conditions or to spray items periodically with clear coat protection to extend the life of the finish.